The action cam market was at one stage dominated by GoPro You Shouldn't Waste Your Money on a New GoPro - Here's Why You Shouldn't Waste Your Money on a New GoPro - Here's Why Should you upgrade your live action camera, or is GoPro doomed to failure? We investigate. Read More . However, if you’re looking to buy your first action cam, the GoPro price tag may deter you. The Yi Discovery is a budget-friendly action cam that may be what you’re looking for. The Yi Discovery will leave you with a big chunk of change from $100. The cheapest GoPro you will come across is the HERO5 Session at nearly four times the price. While the Session does shoot faster frame rates and has native waterproofing, it doesn’t have a touchscreen or a removable battery. Landing a camera at this price point means there will be some trade-offs. For example, the Yi Discovery doesn’t have image stabilization; the 4K resolution is capped at 20fps; and there is no tripod mount on the bottom. These may or may not affect your buying decision, but they are all relative to the competitive price bracket in which the Discovery lies. Included in the box are a device itself, a micro USB cable and the battery. That’s it. I recommend picking up an accessory set from Amazon which has a GoPro compatible attachment for just about any application. The set costs around $20 and includes a waterproof case, suction mount, chest strap and more. Be sure to watch our video on the Yi Discovery for a montage we made using some of these attachments. It’s great that Yi uses the same dimensions in their other cameras which means all these attachments will work if you decide to upgrade your camera at a later stage. One thing to note is that the placement of the USB port and SD card slot are positioned differently relative to other Yi action cameras. So if you’ve purchased a skeletal case to get access to any of these ports for other Yi cameras, it may not work with the Yi Discovery. The batteries used in other models such as the Yi 4K and 4K+ differs slightly to that of the Yi Discovery, too. Therefore you won’t be able to use the batteries interchangeably. As mentioned, the microSD slot is now no hidden alongside the battery compartment. Instead, it’s a slot on the side of the device. This is really useful for getting quick access to the microSD card. The device supports up to 128GB The Fastest and Best microSD Cards The Fastest and Best microSD Cards We've rounded up the fastest and best microSD cards for use with security cameras, DSLRs, smartphones, tablets, and more! They range in price from the ultra affordable to the premium. Read More , and class 10 is required. If you’re trying to format a microSD card that has been previously used the Yi Discovery may have some issues formatting it. The simplest workaround would be to use a desktop computer with a microSD card reader and format the card to FAT32. Now plug the card into the Yi Discovery, and when prompted, format it again and you should be golden. Yi advertises 90 minutes of battery life from the 900mAh battery, which might be true if recording in 720p. Recording at 1080p / 60fps gave me around 60 minutes of use. One of my favorite features is being able to power the device directly from a wall socket or power bank, which is handy if you’re planning on doing some time-lapse shots. The 2″ touchscreen on the rear of the camera helps to frame your shots and choose your settings. The touch sensitivity can be a little frustrating at times and takes a little getting used to. The camera also features built-in Wi-Fi which makes it much easier to configure the camera. 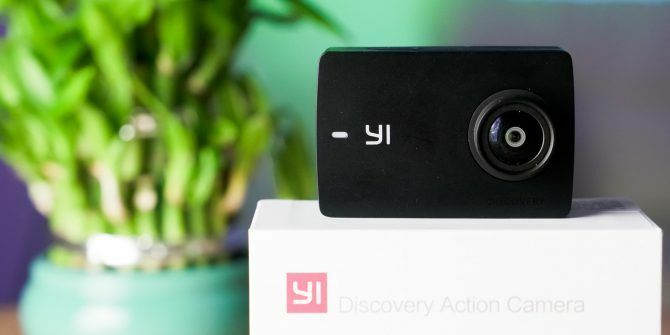 The interface is very similar to the Discovery’s bigger brothers Yi 4K+ Is Everything You Need in a 4K Action Camera Yi 4K+ Is Everything You Need in a 4K Action Camera From Chinese maker Yi Technology comes the Yi 4K+. It's is a lot cheaper than its GoPro equivalent – the Hero Black 6 – and better than the next cheapest model, the Hero 5. So... Read More which means there isn’t a learning curve when switching between different models. 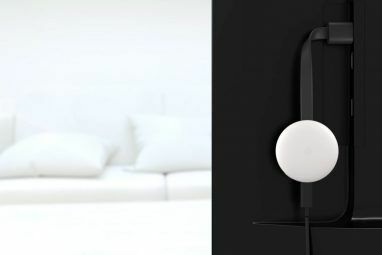 There are also some handy gestures which makes switching between modes or getting at some quick actions. The Yi Action app is very well designed and makes setting up your Yi Discovery a cinch. Once you connect to your camera’s hotspot, fire up the app and enter the camera. From there you can toggle every single setting on the camera. Not to mention framing your shots while inside a case for that perfect angle. The Sony IMX179 sensor has a max resolution of 8MP with the camera, allowing for 16MP stills. The sensor doesn’t record 4K natively either. Since the Yi Discovery allows 4K video footage, there is some interpolation happening to get to those higher resolutions. Paying attention to some of the 4K footage there are some video artifacts in certain parts of the frame. This could be due to the video interpolation. The 20 fps also leads to the footage seeming a little jagged at times. For these reasons, I’d probably stay away from 4K and stick to shooting in 1080p. 1080p footage on the camera is actually quite good. The image is sharp, and colors are great. Dynamic range could be a little better, and there is some noise in darker scenes. When there is sufficient lighting, the footage is very pleasing when shot at 1080p. Vloggers may have some issues with the lack of tripod mount, and there are syncing issues between audio and video. This will be a problem if trying to record yourself while speaking, but shouldn’t be an issue if you’re using the action cam purely for the video. As mentioned the Yi Discovery fits within a price bracket that doesn’t include cameras with image stabilization. 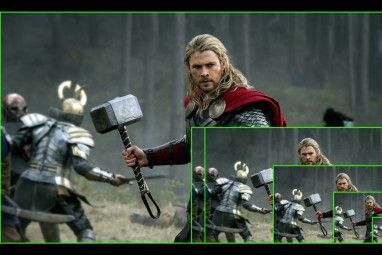 The only way to remedy this would be to fix any shaky footage with a gimbal, or use software in post-processing. Who is The Discovery For? For beginners or someone looking to start getting into action cams, the Yi Discovery is probably the best place to start. It does have some downsides, but some of those are relative to cameras that are in a much higher price bracket. The price point of the Discovery simply cannot be ignored. When shooting 1080p, you can be confident that you’re getting great value for your hard earned $60. Even if you’re looking for footage so supplement your main camera the Yi Discovery will ensure you don’t break the bank. Bundled with such a well designed app it’s going to be difficult to find better value for money. Explore more about: 4K, GoPro, Record Video, Slow-Motion Video. Great Review, and perfect price, addding to my shopping list. Great write up. I just picked one of these up on amazon's deal of the day and had a few questions about format that you covered. So far this camera is great for the person like me that is just looking to record some kid's baseball games and wants an easy one button solution with a few options. A good piece of gadget. Like it. This is awesome action camera looks small in size but has a huge features and works of it.